As part of its many services the Madni Jamia Masjid has developed a Madrassah whose sole purpose is to provide a quality Islamic education to its children on a weekly basis, from Monday to Friday. The Masjid management committee have set up an education sub-committee whose main responsibility is to oversee the facilitation and development of the Madrassah. The Masjid has employed a Madrassah Coordinator who is responsible for managing the Madrassah on a daily basis. 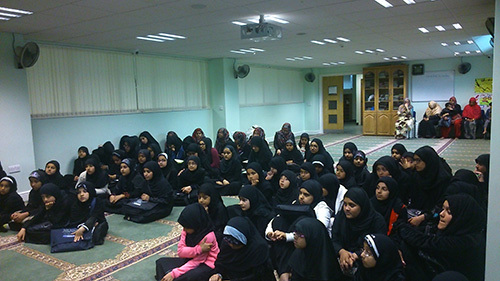 In order to organise and run the Madrassah in an efficient manner the Masjid also employs two education administrators who respectively look after the Boys and Girls sections. One of the key priorities that the Madrassah has is to ensure the complete safety of all its children and to achieve this the Madrassah employs a Masjid receptionist who ensures that all the children arrive and leave safely as well as remain safe during their time in the Madrassah. They also act as a first point of contact for parents and deal with any enquiries. Islamic History – teaches our children about the important facts and prominent events and the great personalities that our children should be aware of in relation to our faith. Islamic Law – allows our children to acquire the correct and proper knowledge they need to practise and act upon our religion. Islamic Manners – helps guide our children to behave appropriately and develop the best characteristics so that they can become righteous young Muslims. 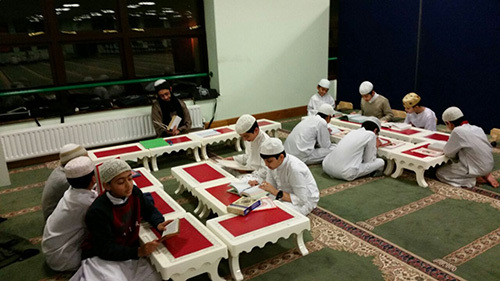 The Madrassah is continuously developing new and innovative techniques to provide excellent learning opportunities for the children to understand and become knowledgeable and pious young Muslims. Our experienced and learned teachers will devise interactive and interesting lessons aimed at encouraging children’s participation in order to increase their knowledge as well as build their confidence and understanding of our beautiful faith. Over the past few years, the Madrassah has modified its educational curriculum and syllabuses in order to provide a high standard of Islamic education to our children. 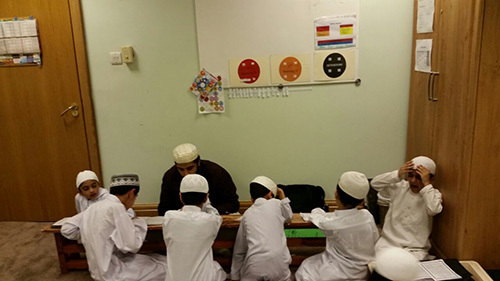 We are always looking to improve on our efforts in order to meet children’s and parents high expectations so that we can be recognised as one of the best Madrassahs in Bradford as well as fulfil one of our fundamental principles which is to become an outstanding centre for education and learning. We hope parents will continue working with the education committee and our dedicated staff, teachers so that we can all continue to teach and guide our future generations together.